Rakesh Malik wrote: While I suspect that having a 4K (and even better, HDR) option to offer would help to get you a better deal when selling to Netflix, that's not a requirement for sure... unless Netflix is funding it. Netflix won't look at submissions off the street, they have to go through a distributor/aggregator, though on occasion their reps will find something on the festival circuit they want to acquire. I doubt 4K will make any difference. For no-name projects, they don't pay well, regardless. Most people don't begin to make their money back, with the typical 2-year exclusive agreement. Netflix is also known as the "graveyard" -- the place where independently financed films go to die. Maybe better than nothing, but not good. Basically the same lean body but a clear step up from the current Pocket 4K. dacloo, I think you might be onto something. Certainly the pocket 4K was meant to be a cost comparable replacement for the original pocket. And I think BM did a fantastic job, so kudos to BM. But it does beg the question, what will be BM's next camera? Probably a new version of the UMP, but after that I hope they swing back and look at cameras between the pocket 4K and the UMP2. I think your list of specs is a good start. These additions would obviously make the camera better and more capable and cost more money, which means it would make sense to call it a "pro" model. And I guarantee if BMD added these features, EVERYONE here who is getting on the OP about daring to suggest the pocket 4k isn't perfection would be pre-ordering the pro before the announcement stream is done. This thread reminds me of a few years ago in the BMCC days when some folks said "hey, it'd be nice to have built-in ND on this camera". Anyone remember those people being told they don't need it and speculating about BMD's manufacturing capabilities or, my personal favorite defensive posture, saying if you don't like it to buy something else? Like any other company, BMD needs to hear thought out, reasonable and respectful ideas from their customers on how they can improve their offerings down the line. I think dacloo did that, and it's odd to me that anyone would take offense to that. I'd also bet that you will see BMD add features like IBIS and Canon-like AF in future models. No one is saying that those features are useless, only that they involve compromise and cost that may well exceed the value of having them. You can't have weatherproof and the existing cooling fans. And what about weatherproof lenses? A 5" tilting screen may have unintended consequences. And do you want tilt or swivel?. Auto-focus can be exceedingly problematic and who will supply the technology and at what cost? A larger battery means a larger camera. EVF options are already available and there's a thread on this pondering such aftermarket devices. Of what product is that not true, at some point, including the BMPCC 4K? If you're BMD's only customer, and they only need to sell one camera, then everything is great, forever. Otherwise, dismissing requests for new features because they "may well" exceed one measure or another, today or tomorrow, will never lead to camera development. Folks are stating their wishes, based on what the competition offers, not some fantasy. I'm not clear on what's gained by trying to convince would-be customers, without any special inside company knowledge, that what they want can't be fulfilled, when it's available from everyone else. Otherwise, dismissing requests for new features because they "may well" exceed one measure or another, today or tomorrow, will never lead to camera development. No one is 'dismissing' the points, but consider that if all were met and the price rose to $2500+ (not unreasonable given the size and nature of Blackmagic), you're suddenly competing with Canon, Nikon, Sony Panasonic etc with FF cameras and far more resources, as well as third party support. And don't forget existing owners with Canon, Nikon etc lenses. Suddenly, the Blackmagic doesn't look like such an appealing camera after all. And if the former adopt BRAW, then where are the differentiating factors that would make the BMPCC4K Pro attractive? Or do you think that Blackmagic could produce such a camera and undercut every other camera manufacturer with deep pockets and decades of experience? I think for some of the points on the wishlist it would be necessary to change the form factor. Canon c100 form factor comes to my mind when we are talking for example about swiveling/rotating monitor. I think it would make more sense to place the monitor then like where Canon did with it on the C100. The DSLR form factor bears some compromises what you can put into that space. The C100 form factor wise is a hybrid of DSLR and camcorder and that might be the way to go for a PCC4K Pro. I'd like to see the HDMI port replaced with SDI, internal ND would be great and a locking MFT mount. BMD should really put locking mounts on all future cameras with non PL-mounts. Robert Niessner wrote: I think for some of the points on the wishlist it would be necessary to change the form factor. Canon c100 form factor comes to my mind when we are talking for example about swiveling/rotating monitor. I think it would make more sense to place the monitor then like where Canon did with it on the C100. Aren't you then just asking for a reconfigured Ursa Mini? After a bit of reading (because I knew not the differences between SDI and HDMI), it would seem that SDI is not the ideal choice for a camera like the BMPCC4K, or necessarily BMPCC4K Pro. In many cases, it seems that HDMI is a far better choice over SDI for this type of camera and the only real benefit that SDI provides is greater cable length. But who using such a camera will require cable lengths of up to 300'? Then if you want to connect your camera to say a field monitor, you now need one that supports SDI. That means more expensive models as most will be 7" and not smaller models (given by what I could find). And we are talking here about users that these cameras target, pro model or not. And what's a locking mount? Australian Image wrote: After a bit of reading (because I knew not the differences between SDI and HDMI), it would seem that SDI is not the ideal choice for a camera like the BMPCC4K, or necessarily BMPCC4K Pro. SDI is a securely locked connection. You get long shielded cables. It sends real timecode. It is a professional standard, while HDMI is a consumer standard, not meant to be plugged and unplugged all the time. All my gear is already SDI supporting and most professionals won't care the little higher price tag for the benefits. Australian Image wrote: And what's a locking mount? It is a modified e.g. EF mount where you insert the lens without turning the lens, but at the mount there is a locking ring you turn. This will press the lens into the mount so it sits tight without play. Robert Niessner wrote: SDI is a securely locked connection. You get long shielded cables. It sends real timecode. It is a professional standard, while HDMI is a consumer standard, not meant to be plugged and unplugged all the time. All my gear is already SDI supporting and most professionals won't care the little higher price tag for the benefits. Yes, I'm aware of that, but that's what you want in a fully professional camera intended for such things as broadcast use. You then use an appropriate camera. The BMPCC4K is competing against the likes of DSLRs, even the likes of a Canon 1Dx, which can cost up to 4x as much. That's a breach lock mount and then it's no longer a m4/3 mount, the entire camera becomes something else. You seem to be after a completely new camera, totally different from the BMPCC4K. I thought this thread was about improvements/wish lists for the existing design. Except the weather proof body, licensing and evf, that's maybe $10 extra cost+ bigger battery. The weather proof body is another thing because of fpga, and maybe not the sensor as its a Sony which has old Aptina technology available, which is probably similar to Red's. Replacing it with a asic processing solution (arm/gpu mobile chip even) could potentially make the case sealable and cost less than now. Now evf, if you don't get too ambitious, maybe another $10 or so. So, $1295 even, and with the largly software features I pointed out and a few more buttons/dials etc maybe still same for most of the dirt cheap stuff. Redesigning the case to be sealable is an interesting exercise. Given the current design, the outside of the camera could be a heat sink, with the tips of the blade insulated for holding comfort, and the chips mounted on the opposite side (an older technology), with water proof fans on top of the fins able to draw water through when submerged. You simply keep things clean (as I estimated decades ago there are ways to make higher performance heatsinks using meta features, but keeping them clean, I don't know). An internal liquid coolant can be used to distribute the heat, and if the sensor needs it, a heat pipe to to case. There are oils and that stuff you breath I think in one of them (around 40 years or so ago, maybe the 70's). I imagine you might be able to halve the volume with bigger, but the liquid might push the price up a bit. So, I bet most of you, and most engineers didn't know that. Another thing for a sealable unit, is you virtually don't need mountable lenses. Samsung has had a larger format liquid lens patent out x years. But using a hybrid technology instead, you can still shrink a high quality multi focal lens system, maybe more with a curved sensor, down in size and fit in camera a lot. Nobody ever should expect the pocket 4k to be aimed at only the DSLR market, it's just the format it uses, and it can do more. But it's all new design work that has to be paid down, so the next pocket/micro would be better. But a non liquid case like this, with the features you want, light he doable as an third party aftermarket upgrade, like they do with cinema mod kits for action cameras. Now, thus HDMI stuff. Not having the latest 4k version of HDMI in there, is not the best. Thunderbolt could have been a better option. Thunderbolt was designed to carry HDMI, display port, USB etc protocols over it, with HDMI etc cable on the other end. There is longer haul optical thunderbolt cables suitable for studio work. It king st needs a company to push sales of this cheap infrastructure product. Which BM able to do, and SDI over Thunderbolt. So real loss, you just get a Thunderbolt to HDMI/SDI cable to hook into existing infrastructure and otherwise just use thunderbolt/up to 300 (Meters was it) optical thunderbolt to hook directly into TB equipment, recorders, switchers etc. You can latch down the tb in or on camera, and they require less case space, with thinner cable to run and less cables, with the option to switch through multiple data paths through a single cable, offering significant savings for new studio infrastructure projects But for small people and studios, it offers a viable alternative, to start with to prove it's reliability. Australian Image wrote: Yes, I'm aware of that, but that's what you want in a fully professional camera intended for such things as broadcast use. You then use an appropriate camera. The BMPCC4K is competing against the likes of DSLRs, even the likes of a Canon 1Dx, which can cost up to 4x as much. In my opinion the PCC4k is not competing against DSLRs - it is compact version of the URSA line. My very first camera from BMD - the Cinema Camera - already had SDI out. BMD has brought the extra prices for SDI equipment down to a very small difference between SDI and HDMI. Australian Image wrote: That's a breach lock mount and then it's no longer a m4/3 mount, the entire camera becomes something else. You seem to be after a completely new camera, totally different from the BMPCC4K. I thought this thread was about improvements/wish lists for the existing design. So you are saying a locking mount wouldn't be an improvement? Of course the mount would be still compatible to the MFT standard, like the cine EF mount from Metabones is fully compatible. The big benefit would be that we wouldn't have to deal with wobble lenses anymore. My Olympus 12-100 does a lot of wobbling on my PCC4k, while even my biggest EF lenses are sitting super tight on the PCC4k when mounted through the Metabones Cine EF Speedbooster (which is locked in place by a lens support). Sony has done this with the FS7, Canon has done this with the C700 or as an upgrade for the C300 MKII. That video interview with Dan May is quite interesting. I may have misinterpreted one remark or not heard it correctly, but at one point he mentioned “12 years” working with cameras. Even if he was thinking of 12 years including what’s happening for NAB 2019, that implied BMD started working on a camera project by 2007. I’d welcome anyone who can correct my misunderstanding. I was thinking of mentioning that. rick.lang wrote: That video interview with Dan May is quite interesting. I may have misinterpreted one remark or not heard it correctly, but at one point he mentioned “12 years” working with cameras. Even if he was thinking of 12 years including what’s happening for NAB 2019, that implied BMD started working on a camera project by 2007. I’d welcome anyone who can correct my misunderstanding. I know somebody that was taking his camera design around to them for a job, and was looking at getting me on board. I'd been waiting a while for them to come out. One of the things I can see in the original cinema camera design, is our notion of a simple camera. We even had one guy in the circles who wanted to doing a digital camera without display, but just an optical viewfinder where you would have to judge everything like you did with film stock. But, the notion of the simple camera was yesteryear. Mini like functionality would have been good. Even down to the simple case design (I wonder if that had been something I put forwards before 2007) a little extra work would have answered niggles people had there, rather than make it like one of my view cams The simple case stuff is what a small company starts out with. Red didn't have the balls to do my dual position design. But a lot of a these things are obvious. You get the thing in hand and you handle it around until you work out the handability quirks. Big secret. Steve used to do the different formats of product with Ives at Apple, and I have also practiced for many years. That's how you figure out how to make a professional camera that people will love to use, the size of a phone. Miss that. A lot of things ate incredibly complex, but you can do a case for a handheld product that people will love and will tank the sales of the opposition, like that. The fin design I mentioned before is like that. In matter of fact, I have got a Sony handy cam, and sharp viewcam, beach enclosures that could be made into cinema cameras (thought the perspex lens window is not good). Let's sit back here and look at the pocket cage situation. Depending on the weight of what you want to carry on the cage, flat alloy strapping may work. You inset the clip over the strap between the body and strap. (Deleted).. so there is substantial weight bearing and rigor there, in something elegant and skin deep. In matter of fact I have an extreme elegant design in hand right now, which would make a lot improvements. Stunning. Amazing nobody hasn't got one out yet. But stepping back, another thought occurs, what about replacing the pocket 4k case with a better one, as a mod. Would anybody be interested in that? Depending on the configuration of components, one could shrink things by rearranging. But that may require recertification. Obviously there Ian so much speculation here. I have learned one thing from owning an Ursa Mini 4.6k. WAIT maybe a year after BMD releases a camera so that that camera has hadany bug fixed resolved, or for a newer version of the camera to be released. So much hype surrrounds their equipment that I think people rush to buy them. The BMPCC4K will not be obsolete in a year, and a PRO version will be in the wings if you know BMD. The price of a second hand BMPCC4K should be under $1000 by then as well. Stephen Fitzgerald wrote: Obviously there Ian so much speculation here. I have learned one thing from owning an Ursa Mini 4.6k. WAIT maybe a year after BMD releases a camera so that that camera has hadany bug fixed resolved, or for a newer version of the camera to be released. So much hype surrrounds their equipment that I think people rush to buy them. The BMPCC4K will not be obsolete in a year, and a PRO version will be in the wings if you know BMD. The price of a second hand BMPCC4K should be under $1000 by then as well. I've put the PCC4K put through several productions since I got it at the beginning of October and it has worked pretty solid so far. Only problem is that sometimes the connection to the MFT lens can get lost - solved after a restart. It seems because of the slight wiggle of the MFT mount, that sometimes when I grab the lens during handheld shots, the lens electronics gets disturbed. Other than that the camera is a nice performer and hasn't let me down, even on very long shoots. Robert Niessner wrote: Only problem is that sometimes the connection to the MFT lens can get lost - solved after a restart. It seems because of the slight wiggle of the MFT mount, that sometimes when I grab the lens during handheld shots, the lens electronics gets disturbed. Yours is not the first report of play in the mount, but they're not all that way. Mine, FWIW, is air-tight. Not seeking a return? Robert Niessner wrote: I've put the PCC4K put through several productions since I got it at the beginning of October and it has worked pretty solid so far. Only problem is that sometimes the connection to the MFT lens can get lost - solved after a restart. It seems because of the slight wiggle of the MFT mount, that sometimes when I grab the lens during handheld shots, the lens electronics gets disturbed. Other than that the camera is a nice performer and hasn't let me down, even on very long shoots. The reason that happens is due to the lens not locking in correctly. 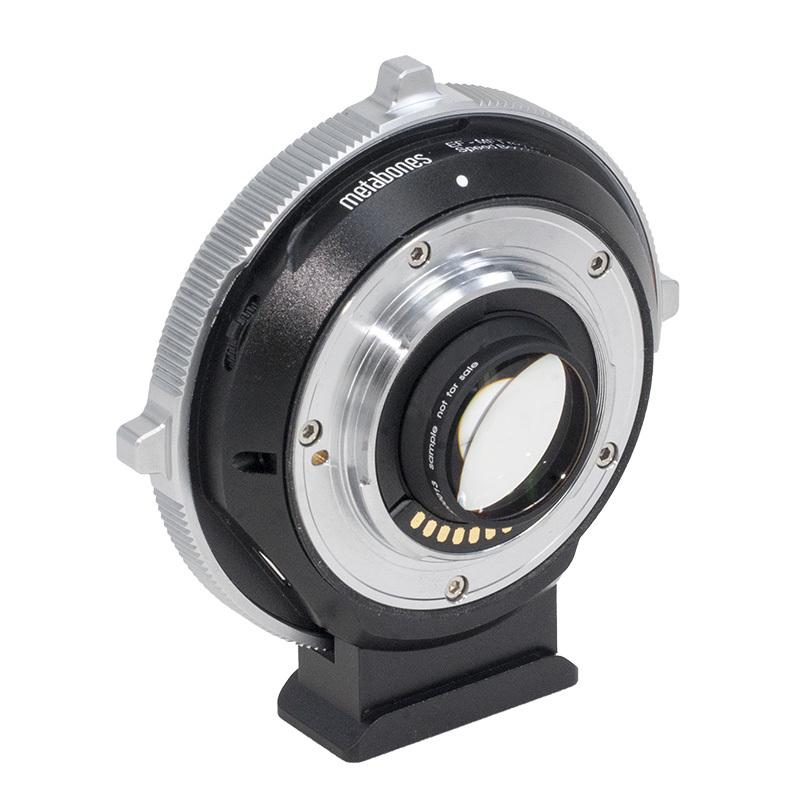 Some people hold the release button when installing m4/3 lenses and the lens goes over the locking detente. It happens often enough with m4/3 camera users and when pointed out, usually doesn't repeat. If the mount has been improperly made, then that could also be an issue. In the video presented, Blackmagic quite clearly indicated that the camera is designed to offer an alternative to potential DSLR/mirrorless camera users; they want to compete in that market. It's a highly competitive market where users have a lot of choice, so the product is balanced in design and features to meet that market. They are prepared to listen to user requests, but if it's just 'five' such requests, it won't get any traction; if it's '500', then they will give it consideration. rick.lang wrote: that implied BMD started working on a camera project by 2007. I’d welcome anyone who can correct my misunderstanding. I think maybe Dan is talking about his own working history. Of course you can make a device to tighten a lens while maintaining appropriate lens distance. Shims and spacers etc, something to tighten a locking mechanism, whatever is the problem. But if it is only some cameras and not others, then best to contact BM about fixing it. Agree with all of this. At the very least a tilt screen, which I still don’t understand why BM didn’t include it. What if it meant doing it well would add 500 bucks to the price ? I wonder if the camera would still be as backordered popular ? Meanwhile I just mount a 5" VA (same screen) on the top using a simple hinge. I can then have two screens and it barely adds anything to the size or weight realistically. Here's an example of it in use on the series I'm currently working on. You actually couldn't do this shot with a tiltable screen. Having the two screens means you can. You can use the "bottom screen" when it's tilted down and then the top screen when it's tilted up. Chris Chiasson wrote: Either that, or BMD needs to figure out how to drain less battery life for their cameras. Mostly it's the solid state cooling they use. That won't change. Peltier coolers. Yes, they generate heat, what are they attached to? Tiltable screens should be out of patent. Where does the $500 come from John? What they need is a joint (top corner to mid point) where they can swivel the screen up down and around to the side where you can rotate it back around as a side viewfnder when on a rig. Would cover many angles, and you could use it for self shooting. If only they had descent WiFi or Bluetooth, people could just mount and swivel their phones. Wayne Steven wrote: Peltier coolers. Yes, they generate heat, what are they attached to? As much as I'd love a simple tilt monitor the price comes from creating the plastic injection moulds and assembly costs in an already poor QC pipeline, sadly I'm sure we'd already have people complaining that their tilt screen is falling off. Along with most likely needing a smaller LCD to fit the hinge into the body's length which would increase costs and give you a poorer quality monitor much like the one that comes with the UMP, 4 inch monitors aren't as common as the standard 5.5 inch smart phone monitors. I wouldn't mind one that simply only tilts up and down like a sideways door for waist level shooting but there's still an increased cost and complexity there. A monitor like that on the sony mirrorless cameras is extra fiddly with very small parts. The thing is though I'd be happy to pay if I know the QC was there to back up the extra cost, not being required to run a second monitor and manage extra batteries can be really handy. But I can also see how the pocket is designed to be as simple to manufacture as possible to push out 4k raw into peoples hands and boost resolve studio purchase/use in the prosumer market. John Brawley wrote: I think maybe Dan is talking about his own working history. There's far more to it than that. First there's the engineering and design costs of not just the swivel mechanism, but the camera body itself, the housing for the screen, the cabling etc (the side ports may have to be redesigned etc). Then there's a lot of testing to determine actual functionality, durability, MTBF etc; we're talking about a screen that's starting to weigh a lot more if it's to be robust and not flex. Then you have to add in the additional manufacturing, assembly, parts and servicing requirements, inventory, warehousing costs etc. These aren't all of the costs involved. No change is trivial. Australian Image wrote: There's far more to it than that. First there's the engineering and design costs of not just the swivel mechanism, but the camera body itself, the housing for the screen, the cabling etc (the side ports may have to be redesigned etc). Then there's a lot of testing to determine actual functionality, durability, MTBF etc; we're talking about a screen that's starting to weigh a lot more if it's to be robust and not flex. Then you have to add in the additional manufacturing, assembly, parts and servicing requirements, inventory, warehousing costs etc. These aren't all of the costs involved. No change is trivial. That’s the value equation. People already complain it’s too big. If a tiltable hinge was added that could support such a large screen then it adds say 20% more to the size and the same again in price then is it worth it ? John Brawley wrote: And the size. Here's my unasked for solution, then. Forget 4K, and use a 2.5 or 3K sensor instead, downsampled to HD, since most likely buyers of <$2000 cameras aren't under contract with Netflix. Then, since maybe .1% of P4K buyers have the grading skills to usefully exploit raw, drop it in favor of Prores only. Now, with reduced power/size/cooling requirements, start over, offering the conveniences commonly available in comparably priced cameras. John Brawley wrote: Now, with reduced power/size/cooling requirements, start over, offering the conveniences commonly available in comparably priced cameras. Or stop making cameras altogether and let people buy Panasonic, Sony etc. Why bother making anything when all people do is complain that the product is no good because it's not like a Panasonic, Sony etc? I might also point out that there's no way I would have bought this camera if all it shot was 2K, and I suspect that the thousands of others wouldn't have either. Every new camera is coming out with at least 4K, even mobile phones, what a retrograde step 2K would have been, especially as 4K sensors would likely cost no more than lesser ones. Australian Image wrote: I might also point out that there's no way I would have bought this camera if all it shot was 2K, and I suspect that the thousands of others wouldn't have either. Every new camera is coming out with at least 4K, even mobile phones, what a retrograde step 2K would have been, especially as 4K sensors would likely cost no more than lesser ones. It's exactly that kind of consumer thinking -- bigger must be better -- which makes an ideal design impossible. When even $1299 cameras have to offer 4K to have any hope of selling to the masses, you you get one of two outcomes: either what's supposed to to be a small manageable camera ends up in some enormous rig or the user is constantly fighting the limitations which the larger manufacturers managed satisfactorily a few camera generations ago. And let me try to preempt the likely counter-argument: if you really have customers who demand 4K, or the quality of life will be intolerable without 4K, BMD does make a camera for your purposes. It's called the UMP. It has nothing to do with consumer thinking, but the practicalities of 4K. I wanted a camera that was designed purely for video and had the ability to crop video if/when required, you can't do much with 2K. A 4K camera allows you to also scale down using the extra pixels for improved noise control etc. I also wanted to be able to extract stills if/when required, a 2K camera wouldn't cut it. I also wanted a camera that didn't have the price tag of a UMP or Panasonic GH5 for that matter. My entire camera rig cost a fraction more than a Panasonic GH5s body alone. Tell me what other camera can I get for the price of the BMPCC4K that has its image and performance capabilities? And further on that note about 'consumer' thinking. If you want to sell cameras to the consumer market, you have to make what that consumer market expects. How many 1080p vs 4K TVs are being manufactured nowadays? Your 2K camera would have been the biggest camera fail of the year. I should also point out that the BMPCC4K is being bought by professionals as a B camera in many instances. Such a camera needs to be as compatible with their other cameras, so naturally 4K is a much better fit than 2K, for many reasons. 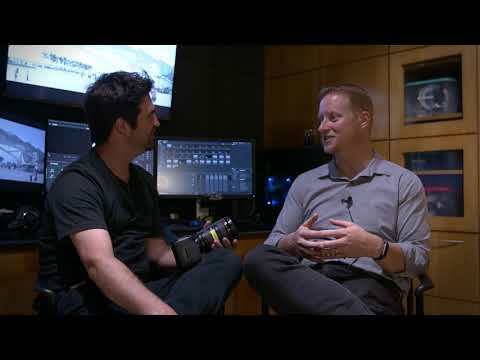 John Paines, the DCI 4K and UHD sensor capture is even more appealing to those whose deliverables are 2K and HD. Sure my phone shoots 4K and that’s clearly a consumer device (regardless of the few people that choose to shoot a feature with a phone for the free publicity that follows), but that doesn’t make the Pocket4K less professional when you look at the entire ecosystem that can surround it to deliver my HD video. It’s far from the top rung on the ladder of cameras used to produce 4K and HD content, but it’s well positioned for its cost and capabilities. I can’t go out on a limb comparing it to the URSA Mini 4.6K cameras but I shall have a better idea in January when I plan to use both cameras in a shoot. I think both cameras will have significant updates in 2019, so my conclusions in January are preliminary. Why bother with 2K when 1080p is virtually the same? Maybe Blackmagic should keep making the BMPCC and just add a swivel screen. Professionals have produced the highest quality dramatic material for years on HD. as well as S16mm, and there have been no complaints that the image doesn't resolve enough detail or that without down-sampling from 4K life is unsatisfactory. And yet, remarkably, HD is not enough for the wedding, industrial and events crowd, not to mention the rankest amateurs who, judging from the quality of the posts at the facebook BMPCC 4K group, don't have a clue how to use the camera. This is consumerism run amok. And that proves what? Material is 4x better on 4k than HD? John Paines wrote: Professionals have produced the highest quality dramatic material for years on HD. as well as S16mm, and there have been no complaints that the image doesn't resolve enough detail or that without down-sampling from 4K life is unsatisfactory. Clearly the BMPCC4K is not for you. Trying to prove that it's not for others as well is kind of silly. What's silly is resisting any and all rational discussion of the camera (which I own, btw) which isn't endlessly admiring. I don't know what argument would satisfy you. You reject all suggestions for improvement, claiming those changes are impossible, and then just as passionately resist suggestions for actually making those improvements possible. Clearly, not a productive discussion. John Paines wrote: What's silly is resisting any and all rational discussion of the camera (which I own, btw) which isn't endlessly admiring. I'm not resisting any rational discussion; indeed, I'm fully qualifying why I bought the BMPCC4K and why I think it's an excellent compromise over too little or too much. Another reason that I indicated in another post is that the BMPCC4K allows me to use all of my 4/3 and m4/3 lenses in their native format, thus giving me their full focal length performance. I have not said that any suggested changes are impossible (saying that they are improvements is subjective), but that they would require significant engineering changes and obvious cost imposts that could well raise the price to unacceptable levels. Others seem to agree with those sentiments. You, on the other hand, seem to be implying that the camera is poorly designed, doesn't need 4K, is of no use to film makers and that no one needs it. Who's the rational one? Australian Image wrote: ...Why bother with 2K when 1080p is virtually the same? 3) Shooting ProRes 2K non-windowed is a very economical approach to get the much greater field of view and definition of 4K. 4) 2K gives you some economical wiggle room to reframe for HD delivery. 5) it’s a virtually no-cost option to include in the camera, so I asked for it. It’s just an option that you can choose to ignore or use. I shoot 2K much more often than HD. I'm not talking about 'not including' it in the BMPCC4K, I'm talking about the suggestion that all that's needed is a 2K BMPCC and to forego 4K altogether, because the latter is just following 'consumer thinking'. These are two completely different issues. I wonder how many BMPCC4Ks would be on order if it was just a 2K camera? Maybe it would be 10x as many and Blackmagic got their marketing completely wrong, like they seemed to have gotten wrong in so many other ways. Or so it seems according to the marketing experts voicing their opinions. I thought I was answering your question that I quoted regardless of the context. I’m out of this conversation. rick.lang wrote: I thought I was answering your question that I quoted regardless of the context. I’m out of this conversation. I'm not disagreeing with your other points, merely clarifying the context of my response to your final point. Well, Christmas is over, but you guys are still here. Repeating things I've said me doesn't make me wrong you know. Of course bug accommodated all those things spread across the production life of the product, which is the way to use them. So when they make a new model, the sales of that model divide up the cost between them reducing the price o'er unit. 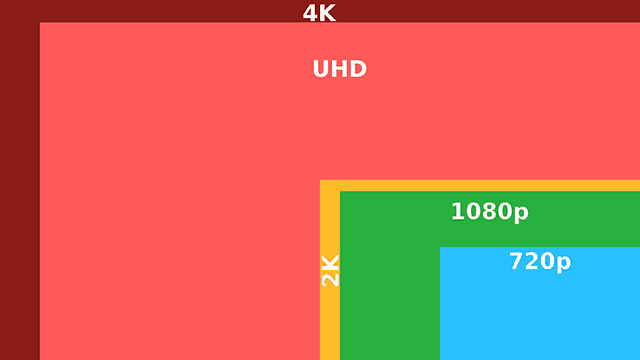 This is exactly how the pocket 4k fits in the current price. So, in the end, the extra cost is absorbed a lot, and maybe a lot lower then you might expect to begin with. Look, AI, in every forum there are a handful of people that want to challenge things, the same people on lots of threads. They might see themselves as defending concepts (their interpretation) of what is right, their mind has a storage place which says something is something, and they hold onto it, spreading negatively about challenges to their concepts. Where life is learning. Rationalising what could be actually, and is. Dynamically and flexibly. In the Bible where two groups. One the Pharisees who worked out what to believe, and one the Sadducees who maybe were too liberal instead of conservative. Both where denounced by Jesus as missing the point. In Biblical context it was about relating to and loving and as a consequence obeying God, depending on him to work things out. Its not the sane here, but the two groups illustrate the point. If we were to look at another example this time, Doc Martin TV series from England. The Doc is a bit of a doofus. He has this massive knowledge beyond his specialist field as a surgeon where he just comes up with the ideal diagnosis at the drop of a hat, and the often errant medical establishment is the all seeing guide to knowledge, and outside is fraud.. Very unrealistic. On the other hand, in the series House, House has massive knowledge, deals with highly complex cases, and investigates and seeks out new knowledge in order to cure people, inside or outside the medical establishment, whatever is true. He is not constraining himself. One of these in real life is a fantasy way of doing things, one is not. We get doctors thinking they can be like a Doc Martin without external reference. If you have a challenging condition past their limited in real life knowledge, they can seriously negatively affect you or kill you. Where as in real life, not the fantasy half gone House character, a highly skilled person like this can seek out more, and have a wider field of knowledge because of it, spend time actually diagnosing and researching a problem looking for proof outside of prelearned route medical knowledge as need be (a lot of future medical practice cones up in research many years before, even decades, and as a lot of medical issues are biochemical, it means that the successful practices of alternative medicine can indicate biochemical paths), and find better avenues for hard to treat conditions. Seeing their limitations they seek out more. Now, while a wishful Martin might be more to kill you given a challenging enough condition past their limited competence in 2 minute+ consultations. A competent House is only really likely to kill you if he must in order to stop you dieimg now. The show is a bit of a joke, they are always talking about risk assessment of allowing him to treat people much more likely to die in other doctors hands, which is negligence. People likely to die die more often, and people likely to due note often in another's hands, are more likely to die. You won't save everybody, but as long as you can competently save more and in a better way. There is a lot to argue about that example and how things operate in real life, but the illustration of the method if thinking holds, a competent person that thinks they know it, but is not open to learning more if there is significant more to learn, is in the end incompetent. The competent person who can recognise limitation and learn note, is potentially competent about the circumstance. However, the incompetent person who can't learn more might be competent depending on circumstance. The incompetent who is open to learn more is still potentially incompetent, or maybe just stuff it up (get a competent second opinion). Don't regard doctors personabilty first, regard their professional competence. Now, when my autism spectrum disorder gets going despite treatment, I walk around like a Doc Martin (though I'm not as rude, or grumpy). So, I KNOW what I'm talking about, and I she the limitations. That should cover multiple angles.